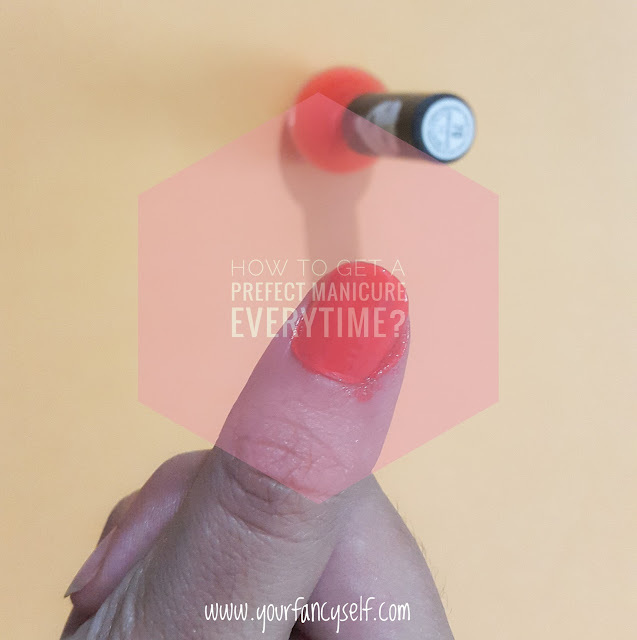 DIY Manicure Hack | How to get perfect a manicure everytime? - YOUR FANCY SELF! 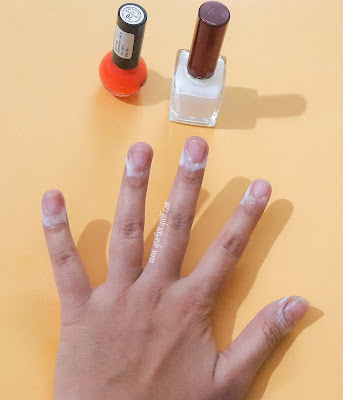 DIY Manicure Hack | How to get perfect a manicure everytime? 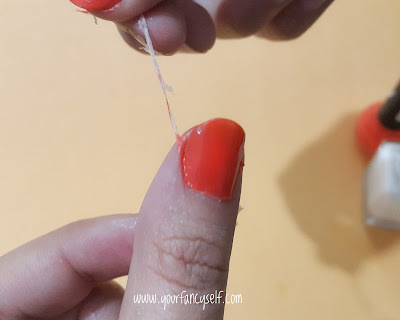 I think its not just me but its everyone who struggles with applying their nail paint perfectly. And I know its annoying to get the nail paint outside your nails and the struggle of doing your right hand. 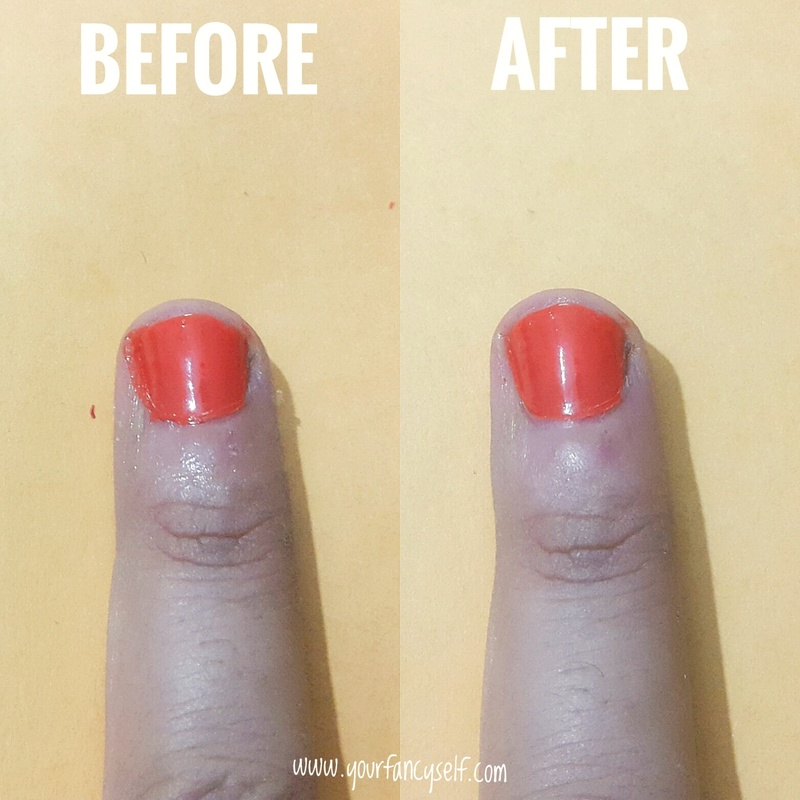 So I found this simple DIY which works great and need no effort on your part to get a perfect manicure. So for this DIY, you need 2 things. 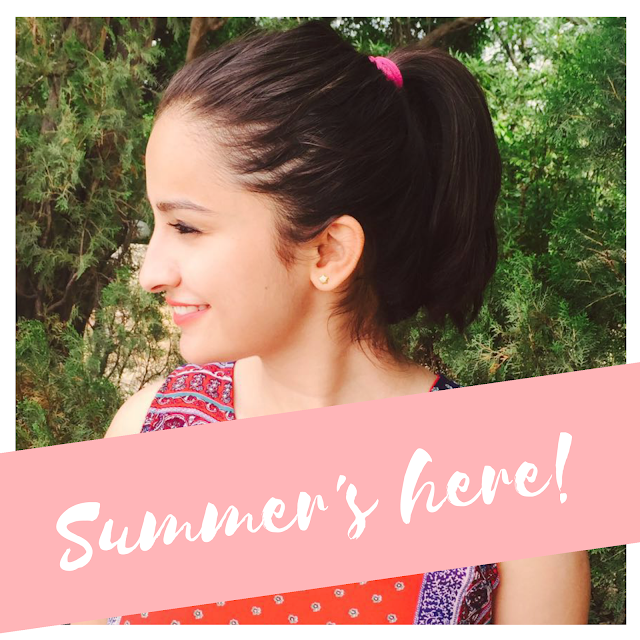 Thats it! Some glue and water. 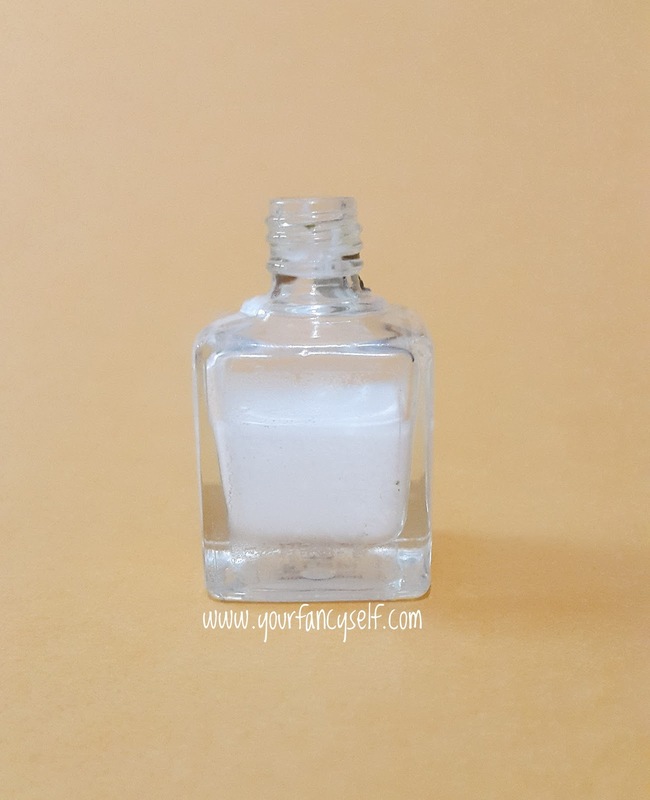 You can also clean an empty or dried up nail paint bottle to store this or just keep it in any small container and use any paint brush to apply it. It will be very convinient if you store this in a nail paint bottle. 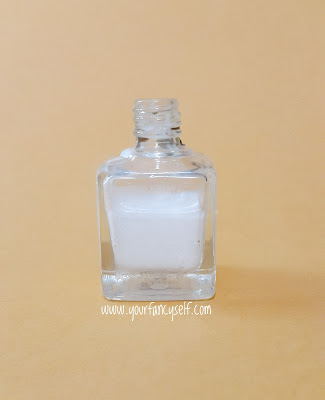 However, it is a task to clean an old nail paint bottle. 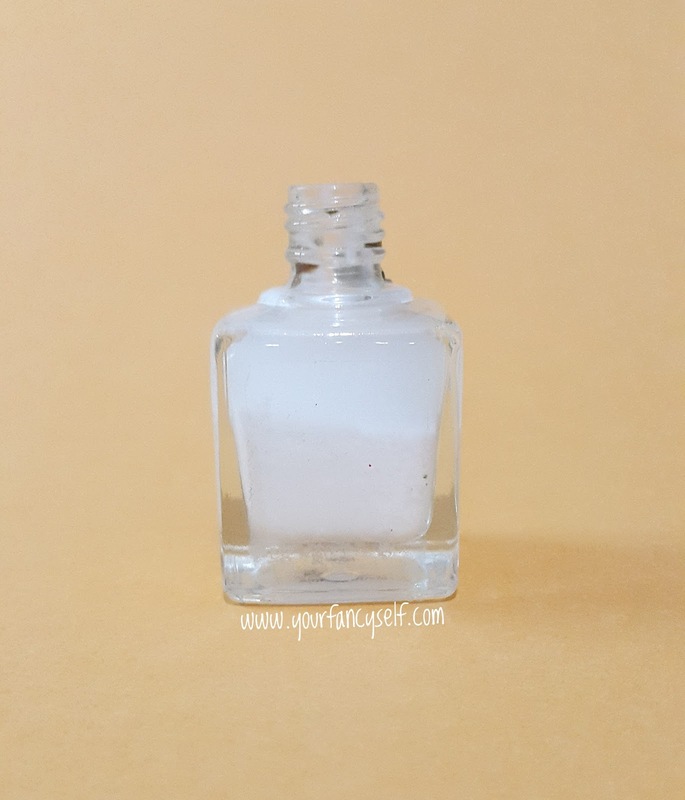 If you think a little effort is worth it, then pour some nail paint remover into the botlle and shake it well. Do this several times while shaking rigrously until all the nail paint dissolves off. 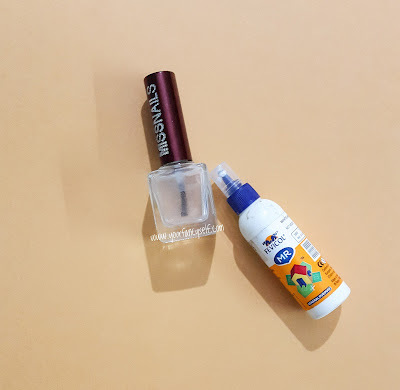 Next, Fill up 2/3rd of the nail paint bottle or any container with the glue. Add water to the remaining 1/3rd part. and shake well. Now before doing your manicure, apply a good layer og the mixture around your nails and let it dry. I bet it will dry in less than a minute. Now without worrying about any corrections, do all you nails. Even if you mess up, it will be removed with the glue. Congratulations Boo! You gifted yourself a perfect salon like manicure. You can simple use a glue too without mixing in water, but it will take very long to dry and you will hate waiting this long.